Our Classical Civilisations Summer School offers an exciting opportunity for students to explore the history, literature, material culture, philosophy and international relations of ancient Greece and Rome. The thinkers, fighters, rulers and poets of the classical period have all had a profound and transformative impact on Western culture – many of their names and ideas are commonplace and familiar even today, but the reality of their worldviews and their day-to-day lives is often surprisingly alien. For over 2000 years of Western history, each generation has rediscovered, reinterpreted and made its own use of the classical legacy, which has proved an endlessly fertile source of inspiration and intellectual challenge. On this course we will sample a wide variety of areas of study, all the time considering the strong links between the ancient and the contemporary. We will always look for ways in which we can engage actively with the ideas and institutions of the past – with a mock Roman senatorial session, for instance, to discuss the fate of Carthage, or a practical workshop on the art of rhetoric in the ancient courts of law. 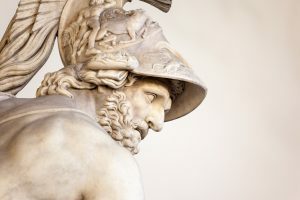 The interdisciplinary nature of Classical Civilisations is one of its greatest strengths, and this course offers a fantastic opportunity to broaden your outlook and develop new perspectives on some of our most fundamental ideals and most enduring stories. A full schedule for this course can be seen here. This course is obviously well suited to students considering Classics at university, but would also be of interest to those considering related disciplines such as Philosophy, History or Literature. Please note that you do not need to have studied any Greek or Latin to take part in this Summer School – all sources will be studied in translation. Our approach to tuition is varied – offering interactive discussions, formal debates, lectures, group presentations and close individual reading of primary and secondary source material. Special emphasis is given to developing students skills as critical readers at an undergraduate level, by analysing extracts and quotations, as well as images, material sources and oral accounts. Participants will be supported in formulating and presenting their own viewpoints clearly and logically and encouraged to challenge one another’s positions in a constructive and friendly atmosphere. This course is well suited to students considering Classics at university, but would also be of interest to those considering related disciplines such as Philosophy, History or Literature. Please note that you do not need to have studied any Greek or Latin to take part in this Summer School – all sources will be studied in translation. The Classical Civilisations Summer School is open to students aged 15 – 18, and will take place 5th – 9th August 2019. The venue for this course is the University of London, Bloomsbury Campus, Central London – you can see more venue and travel details here. Please note that accommodation is not included, and must be arranged independently if required. The cost of the five-day Classical Civilisations Summer School is £495 per student – to secure your place you will need to pay a 50% deposit, with the balance payment due eight weeks in advance of the course start date. To book your place at the Summer School, or if you have any further questions, simply call on 0800 8101058, email info@debatechamber.com, or book online. Debate Chamber offers a limited number of full and partial bursaries to students who could not otherwise afford to attend. If you would like to apply for a bursary then please complete your bursary application here.